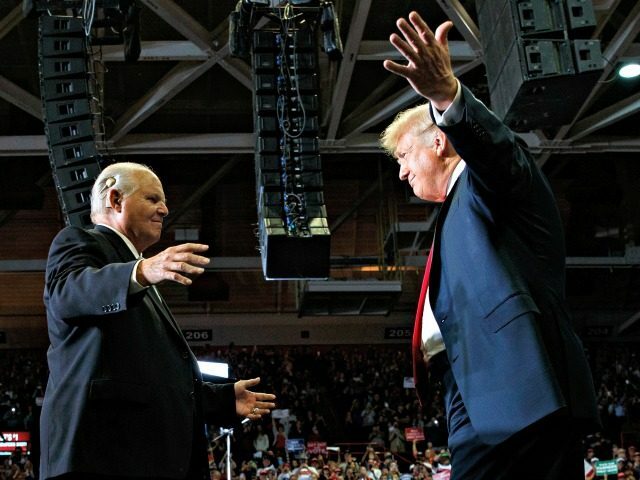 Talk radio legend Rush Limbaugh took the stage with President Donald Trump at a rally in Missouri on Monday defining the greatness of the first two years of the Trump presidency. Limbaugh said that Trump was committed to making America great again, which was more than a campaign slogan. He slammed the left and the media for refusing to concede the 2016 election, repeatedly blaming it on racism and the Russians. Limbaugh said it was “a great honor” to be a guest at one of Trump’s electrifying rallies, noting that they were the “envy” of professional Washington, DC. 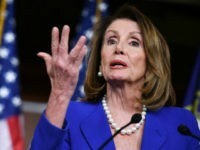 He noted that Bill and Hillary Clinton recently announced a multi-city speaking tour and that Obama was back on the campaign trail looking to eclipse Trump’s success. “Joe Biden can’t fill a phone booth because he’s looking for someone to punch out,” Limbaugh joked. He said that the Trump rallies convinced him that Trump would win in 2016 because he had such a great connection with voters. “The people in Washington really haven’t taken the time to understand why you voted for Trump; they just think you’re stupid for doing so,” he said. Limbaugh praised Trump for his willingness to fight for the American people, despite the unrelenting criticism from the left and the media. “Even now, the real anger at Trump is actually at you for having elected him,” he said.